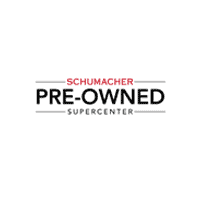 For over 40 years, the Schumacher Auto Group has built a reputation for providing the South Florida community with friendly service and quality cars, and the Schumacher Pre-Owned Supercenter is no exception. No matter your budget, we’re here to help you find a reliable pre-owned vehicle. Explore our full inventory of certified pre-owned and used cars for sale in South Florida, and schedule a no-obligation test drive. With our competitive pricing and flexible finance options, we can match you with a car, truck, or SUV that meets your needs. To join our family of satisfied customers, contact us online, call us at (561) 935-4655, or visit at us at one of our three locations in West Palm Beach, Delray Beach, and North Palm Beach.